Solstice removes technical barriers to better collaboration in the meeting room or huddle space. How many times have you found yourself in a meeting, scrambling to display a document or chart so that all participants can see it? How helpful would it be for everyone in the room to have the opportunity to share content at the same time creating an active and collaborative environment? Mersive’s innovative Solstice solution offers the opportunity to manage and control document sharing to any number of users efficiently without any technical barriers. Mobile, agile and engaged workers demand robust technology tools to help their varied activities throughout the workday and in all the spaces people now work. We are no longer a desk-bound work force, and meetings are no longer confined to defined meeting rooms. Mersive’s Solstice wireless collaboration technology empowers users to quickly share and collaborate on information in any and all meeting space environments including traditional conference rooms or more casual huddle spaces. How does this product impact workplace design? Mersive’s Solstice wireless collaboration solution boosts productivity by putting content at the center of the meeting experience. Participants are more engaged because Solstice is intuitive- the software-based interface makes it easy for any number of users to share content from any device. Moreover, corporations and universities can securely deploy the solution across locations and centrally manage them from a single console. The Solstice app delivers a one-of-a-kind user experience that meeting participants love. Meeting participants no longer need a cable or dongle to share content in a meeting. They can present content wirelessly, with very low latency, to a display using their laptops’ or mobile devices’ native wireless display technology or by downloading the Solstice app. Because content is shared wirelessly (bypassing cables and dongles), any number of participants in a meeting can engage in the discussion by wirelessly sharing any content, including HD-quality video, from their laptop or mobile device. In addition to the wireless sharing and collaboration capabilities, Solstice also serves as a meeting room platform by showing the calendar associated with a meeting room or huddle space on-screen so that people know who will be using the room and whether or not space is free to use shortly. Solstice also offers digital signage capability that provides every meeting room with the ability to display signage without the need to add another hardware device and software service. 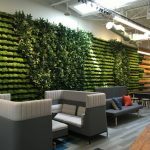 Likewise, Solstice Pods that have been deployed in transitional spaces to display digital signage also provide those spaces with the ability to be used for wireless collaboration when needed. Solstice Pods double their value proposition to customers when signage is implemented. The Association of United States Army (AUSA) came to Mersive when they started planning for their new conference and events center. The most massive space designed to support events for up to 400 guests required seamless collaboration between staff on the primary wireless network and visitors on a separate guest network, enabling off-site participants to join events remotely, and supporting various wireless AV inputs for all meeting and event spaces. Content can be shared across multiple platforms and locations and managed from a single location. The AUSA Conference and Events Center incorporated Solstice Pods to increase visitor engagement and create a ‘wow’ factor across a range of spaces. From an informal reception area to traditional conference rooms and large presentation halls, the meeting spaces across the reimagined Conference and Events Center each feature a dedicated Solstice Pod providing wireless connectivity to the meeting space display. By using Solstice, every display becomes a hub for presentation and collaboration from any PC, smartphone, or tablet, instantly transforming the meeting spaces into interactive environments that foster knowledge transfer among the AUSA staff and guests. What was the outcome of using the product, and can you cite any data? Solstice’s user capabilities, dual-network option, and IT security and management features made it the perfect solution for the AUSA Conference and Events Center. Shortly after the Center’s opening, LTG Gordon R. Sullivan (former Joint Chief of Staff for the Army) gave a seamless presentation to more than 200 participants locally and more than 500 globally, and Mersive’s Solstice continues to be used for wireless presentations and collaboration in support of events at the AUSA Conference and Events Center. Solstice was designed by Mersive Founder and CTO, Christopher Jaynes, PhD. The product was first introduced in 2013. Solstice is easy to use and easy to manage as well. It uses the latest security technology and can be monitored and controlled. This means corporations and universities can deploy and manage Solstice Pods across multiple locations from a single console. Solstice allows uses to easily stream videos from the iOS YouTube app via Airplay. As a software-based collaboration platform, Solstice future-proofs an organization’s meeting room and huddle space needs. A software upgrade is all that is needed to provide added functionality which is much easier than hardware-based systems that require customers to replace the actual unit to realize additional functionality. Unlimited version (allows unlimited users) is $999 per pod. Unlimited Enterprise version (unlimited users and centralized management) is $1,299 per pod. Will you be exhibiting anytime soon? If so where and when?